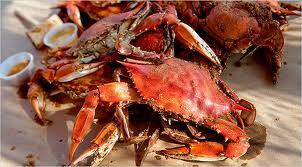 OCC: Christopher Foundation Crab Feast | Oxford Maryland Vacations! The Christopher Foundation Crab Feast The Christopher Foundation is hosting a Crab Feast, Silent Auction and Day of Empowerment featuring Life Healer, Lori Wheeler, and Celebrity Trainer/ Motivational Speaker , Dolvett Quince. Proceeds to benefit “The Christopher Center” dedicated to the memory of Christopher Bradley to help our youth.